1. Vulnerability of groundwater resources in different hydrogeological conditions to climate change. 2. Changing climate and saltwater intrusion in the Nile delta, Egypt. 3. Impact of climate variability on the water resources in the Draa basin (Morocco): Analysis of the rainfall regime and groundwater recharge. 4. Effects of global warming and urbanization on surface/subsurface temperature and cherry blooming in Japan. 5. Temporal variation of stable isotopes in precipitation at Tsukuba, Ogawa and Utsunomiya City in Japan. 6. The 14C age of confined groundwater in a sandy-muddy Pleistocene aquifer. 7. Understanding groundwater flow regimes in low permeability rocks using stable isotope paleo records in porewaters. 8. Mineralogical analysis of a long-term groundwater system in Tono and Horonobe area, Japan. 9. Verification of 4He and 36Cl dating of very old groundwater in Great Artesian Basin, Australia. 10. Land subsidence characteristics of the Jakarta Basin (Indonesia) and its relation with groundwater extraction and sea level rise. 12. 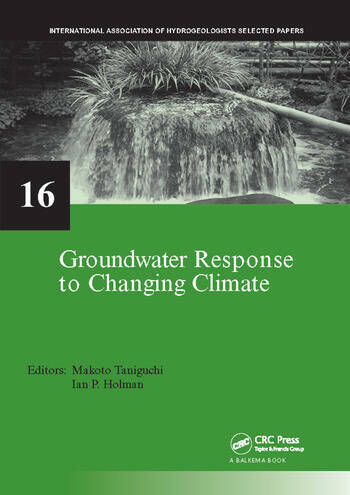 Study on the relation between groundwater and surface water in Toyohira-gawa alluvial fan, Hokkaido, Japan. 13. Present state of water balance in Isawa-gawa alluvial fan, Iwate Prefecture, Japan, and its future prospect under global warming. 14. Study of the groundwater flow system in the Echi-gawa alluvial fan, Shiga Prefecture, Japan. 15. Modelling of groundwater flow characterized by hydrogeologic structures and interaction with surface water at Shigenobu-gawa alluvial fan, Ehime Prefecture, Japan, with a preliminary examination of the influence of climate change..
16. Hydrogeology and water balance in R. Chikugo-gawa Plain, Fukuoka Prefecture, Japan.